When I think of people who work from home, I think of the beautiful office spaces they can create for themselves. 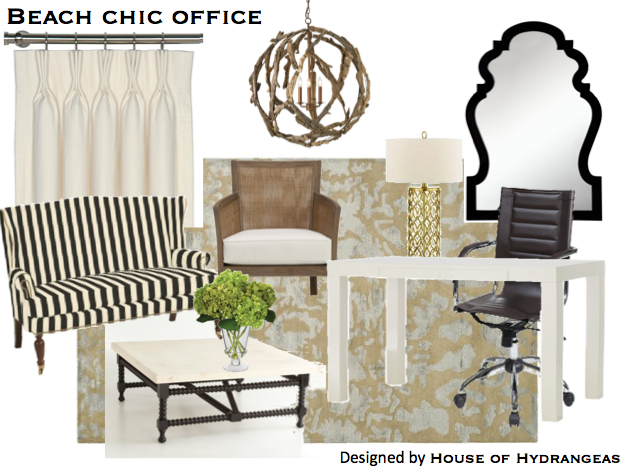 I often try to imagine what my dream office would entail, and the latest vision is of a crisp, clean space with lots of pretty things to inspire me...a nod to the classic with a twist on the coastal. Yeah, I think I'd be pretty happy here.